That’s Dotty the cat – she’s from an estate sale and she was $2. That framed print is from the thrift store and is an example of something that drives me crazy. When they put the price sticker on the artwork so that no matter how carefully you take it off it takes some of the image with it. The "B" is metal, I'm not sure what it was used for originally...I bought it at a garage sale for $2. I have two of the folding bag thingies – I’m not sure what their technical name is. 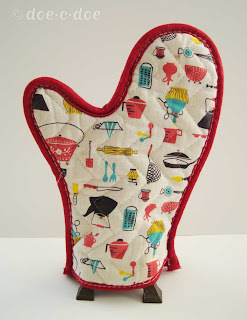 I use one for my embroidery supplies and then this one holds fabric scraps and my collection of vintage ovenmitts. 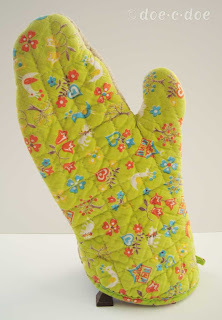 Now don’t pretend like you don’t want to see those ovenmitts…you know you want to see them and you know I want to show them to you or I wouldn’t have this blog! Oh - and just in case someone was taken with Dotty and wanted to make a pillow of their own I scanned her in and redrew her to create a pattern. The embroidery detail on mine is done in a chain stitch, a really tiny, perfect chain stitch that blows my mind. 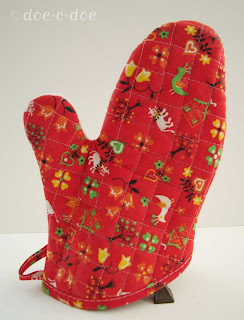 The fabric on the mitts is fab. 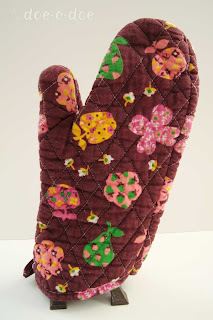 Oh, to have such funky ovenmitts! 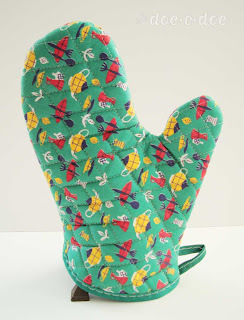 The oven mitts are the best find. They are in great condition and they are cute!!! 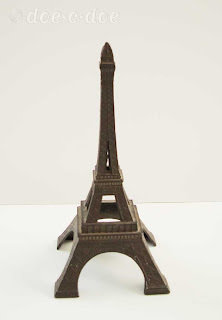 Thank Eiffel for the help! Stickers like that drive me nuts too! I hat finding them on prints, enamel dishware, and books--argh. I am in thrifted heaven right now. 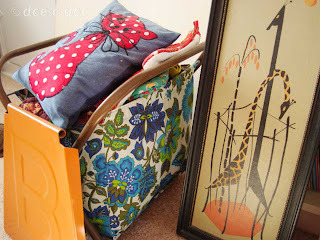 The giraffee print is so very modern and cool looking. 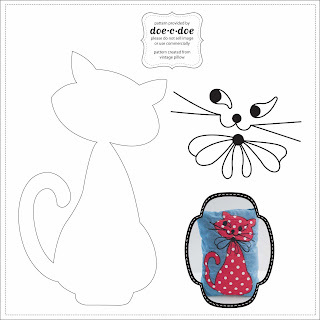 How nice of you to share the Dotty pillow explaination with us. She is quite nice I will say. I can hardly wait for yard sale season to begin again here in New England.